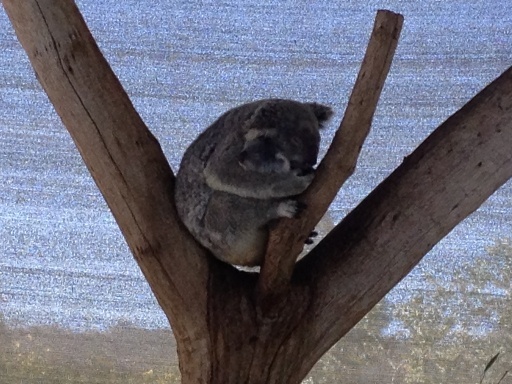 Cohunu Koala Park, is located in Byford approx 40mins south-east of Perth. 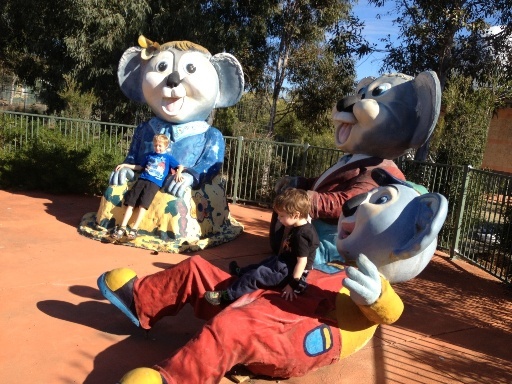 Although its called Cohunu Koala Park it is really a wildlife park as there is so much more here than just koalas! 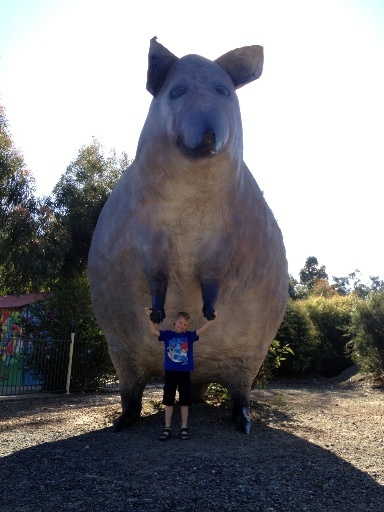 Cohunu Koala Park, was opened approximately 40 years ago, but moved from Gosnells to its new home in Byford only 4 years ago. 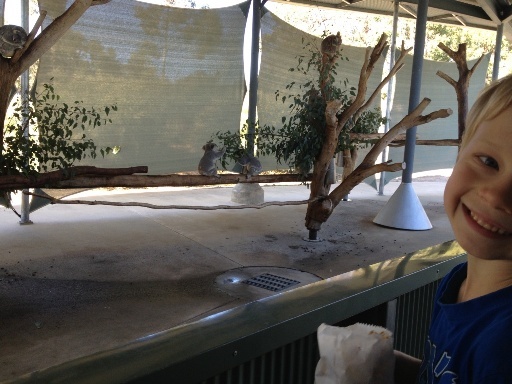 Cohunu Koala Park offers a full interative animal experience, with animal feed available to buy at the front desk ($3 per bag). 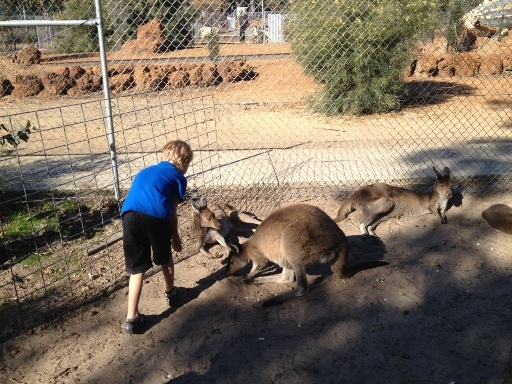 At this wonderful wildlife park you will see not only the beautiful koalas, but echindas, bob tail lizards, dingos, emus, kangaroos, ponies, llamas, ducks, geese and more! 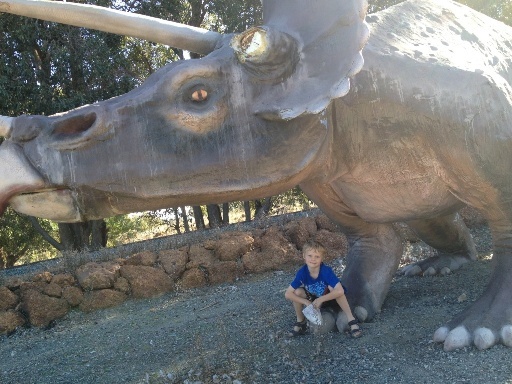 And of course we were very excited to confirm our Dinosaur Sighting (see our Perth & WA Dinosaur Sightings page). There was lots to see and do it was hard to know where to start - but I'll take you through our visit! We paid our admission fee (which might I say is very reasonable at $15 for adults and $5 for kids (U3 free) and purchased our miniature railway tickets ($4 - babies free) at the front desk ) and then checked out the koala enclosure right outside the main building. There were heaps of koalas in the enclosure including this beautiful Mum and baby pictured above. 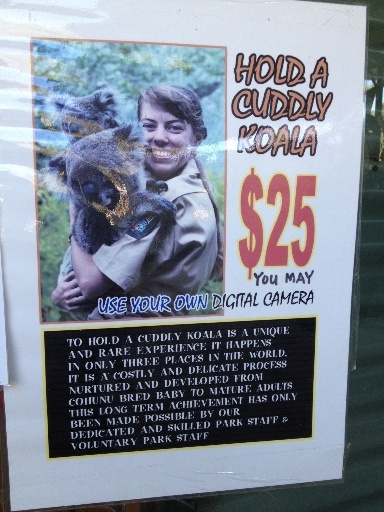 The boys enjoyed a pat of one of the koalas, you can also have a Koala Cuddle and photo for $25 (however kids must be >140cm) and you can used your own camera to take photos. These little guys were seriously so cute! Ring ahead to find out about koala feeding times. After this we exited the main building through the fully fenced outdoor seating area, into the park. Although there are limited food options available (icecreams, water and soft drinks only) this is a great little area that is fully undercover to eat your packed lunch and have a drink in the shade. We thought we would take in a miniature train ride first, as it was later in the afternoon and the rides were soon to close (train closes at 3.30pm). It's also a great way to see the park to work out what you would like to go and look at first. 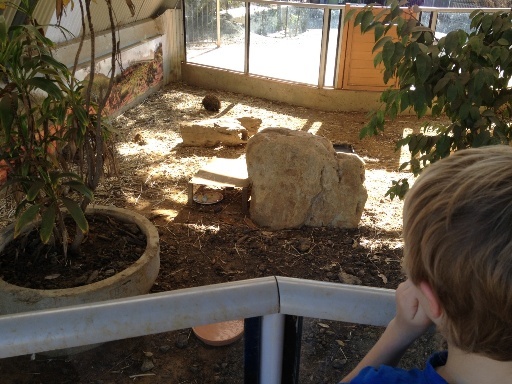 On our way to the little train station we saw some galahs and checked out the echidna and bob tail enclosure. By this time the train had arrived. 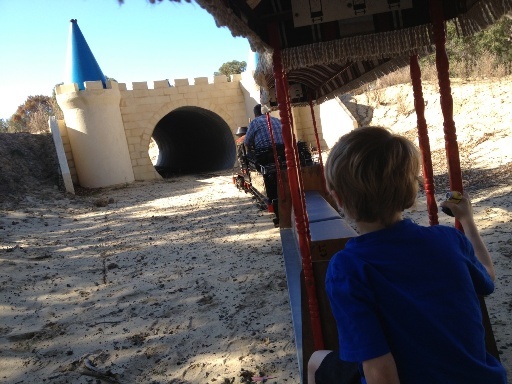 The train ride around the park is about 10 minutes, so rides leave every 15 minutes or so most weekends, public holidays and school holidays (dependant on weather conditions and may be restricted by total fire bans). 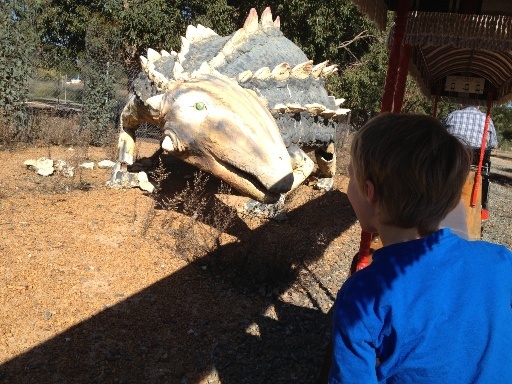 The kids love the train ride it takes you up past some of the huge dinosaurs throughout the park and through a couple of tunnels. 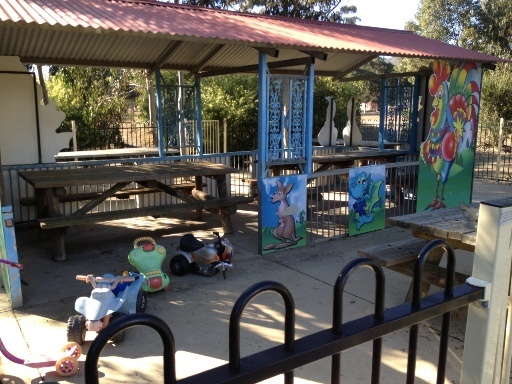 Now don't expect to see pristine gardens and grounds at Cohunu, on the train ride you will see that the Cohunu Koala Park is a little rough around the edges. 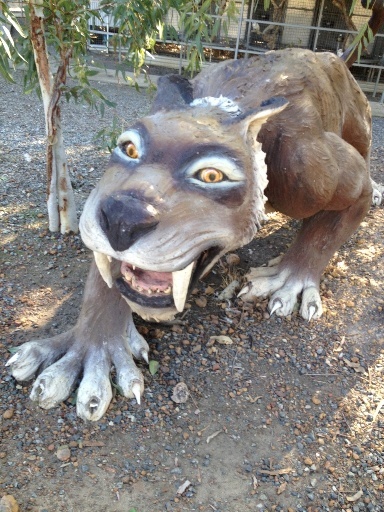 After establishing itself over 30+ years in Gosnells, you get the feeling that they are still in the process of managing the move from Gosnells with some of the items possibly having been damaged in the move, stored on the outskirts of the property. 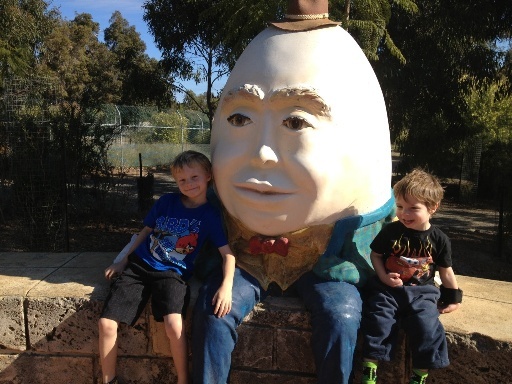 Many of the large characters around the park look as though they are as old as the history of the park - but it does take you back and make you feel like you have taken a step back in time, I remember some of these characters, like Humpty Dumpty featuring in parks around Perth when I was a child. 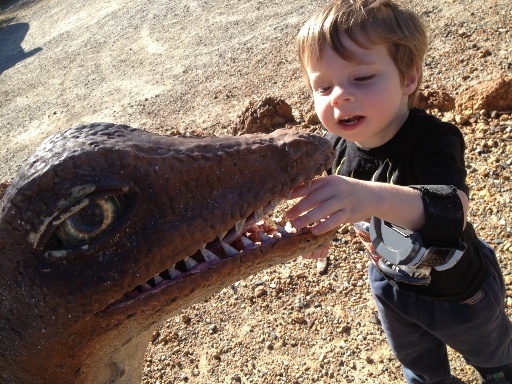 After the train ride we went to have some photos with the huge character statues around the park, including the many dinosaurs around the park. 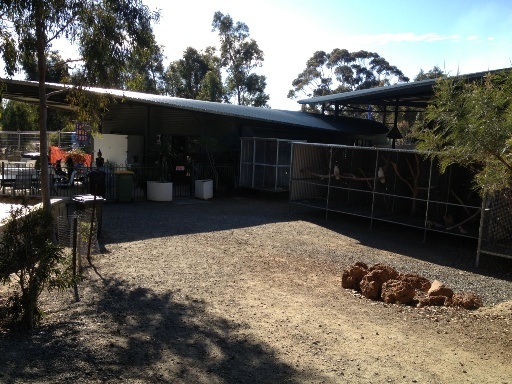 Lastly we visited the kangaroo and farm animals enclosures - where you can feed and pat the animals. 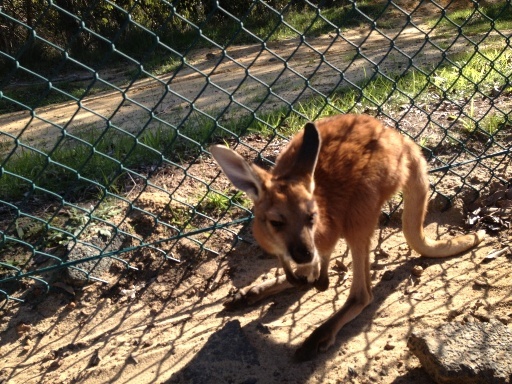 We also got a pat of a beautiful red kangaroo joey. 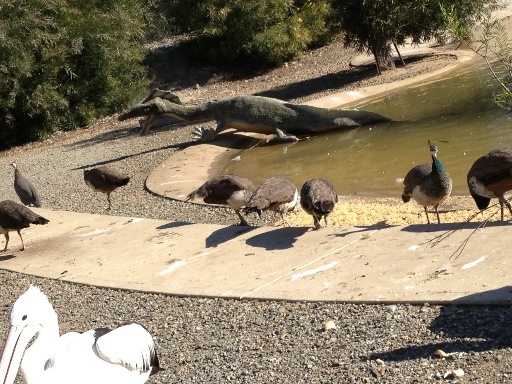 Many animals roam outside the fences also, so this really is a full interactive animal experience! 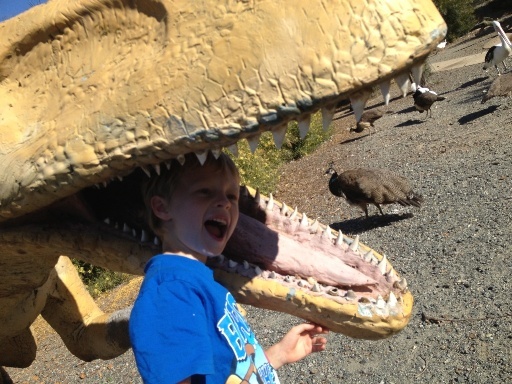 Other features at the park? Throughout the park there are several sheltered areas, making a visit to Cohunu Koala Park a great experience in summer and winter. While there are established pathways, there is a lot of sandy areas around the park, so if it's really wet we don't recommend wearing your best shoes - perhaps take the kids gumboots along. Don't let the rain put you off visiting Cohunu Koala Park, there's plenty of places to shelter in between showers - including a little, fenced seated area, which has a few little ride on bikes, another great place to enjoy your lunch and have a drink. 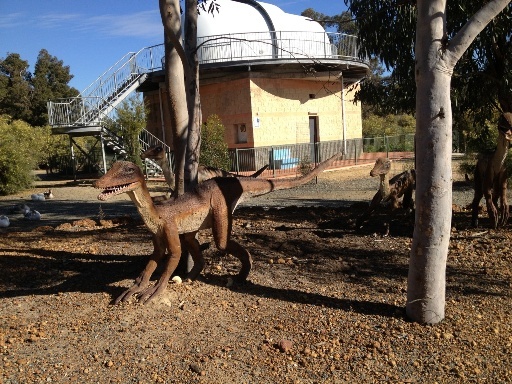 You will also see an observatory above the toilet block. The owners tell us this is a work in progress and will be having night time observatory sessions sometime in the future. 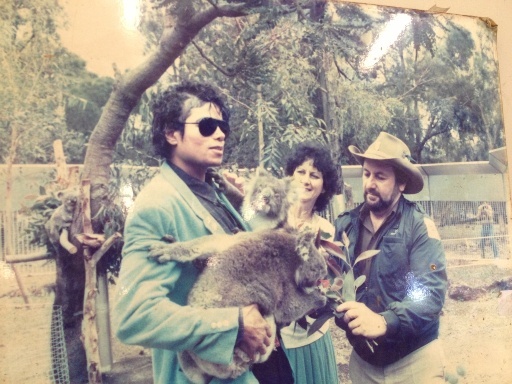 You never know you may see a celebrity on your visit, as they have been host to many a celebrity in the past including Michael Jackson and Dolly Parton, they even had a visit from David Attenborough just the other week! 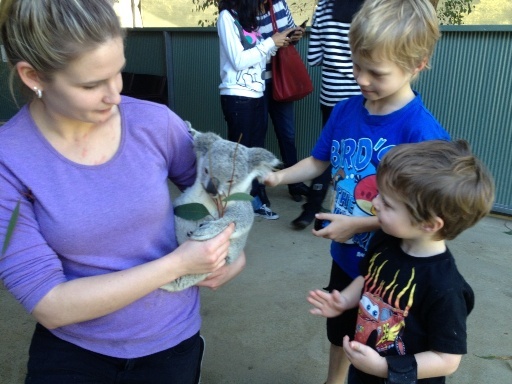 The kids will love the Cohunu Koala Park! As we said its a bit rough around the edges but great value for the $15 adult and $5 kids admission fee. Just remember to take food along with you as there is only ice-creams and drinks available at the park. Safety Considerations: We recommend you reconsider your visit if there is a catastrophic fire danger in place. See current fire danger rating on the Bureau of Meteorology Perth forecast. The park is surrounded by bushland and you do not want to find yourself and your family involved in a bushfire emergency. There is also one unfenced pond, so close supervision of young children required, and be wary of snakes in the warmer months.